The historic Casa del Prado Theatre is located at 1600 El Prado and Village Place, in Balboa Park, San Diego. Wheelchair seating and group rates are available by calling the Box Office at 619.239.8355. There is an additional service charge for tickets purchased online. Strollers are not allowed inside the theatre, but may be parked in the lobby. Patrons may be dropped off and picked up in front of the theatre. Nearby parking — with ample parking spaces for disabled persons — is available in two lots just East of the Spanish Village Art Center, located at Village Place and Park Boulevard. Limited street parking is located along Village Place. 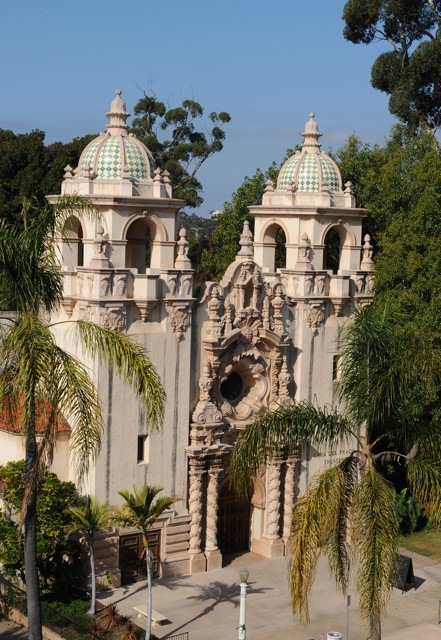 To allow for parking in Balboa Park on Saturdays and Sundays, we recommend you arrive one hour prior to curtain. Wheelchair seating may be reserved up to 24 hours prior to each performance. After such time, remaining seats in this area are offered to the general public. 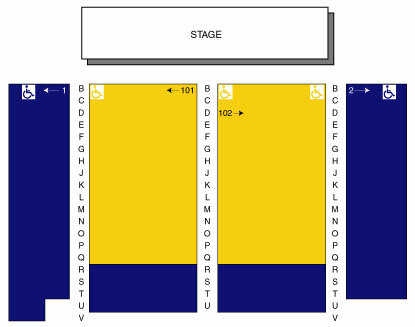 Wheelchair seating is available by calling the Box Office at 619-239-8355. Each of our Casa del Prado Theatre shows has one American Sign Language (ASL) interpreted performance. Special ASL-accessible seating is available. For more information on accommodations for people with disabilities, please call our Box Office at 619-239-8355.